Too often we see people living with technology they really don't like. Sometimes it's a poor installation, sometimes it's the wrong solution. Sometimes the technology overcomes and dominates a room. We all know what we like. We like to easily watch a TV show, a movie, or play some good music. Often the systems people live with get in the way of enjoying these experiences. The people at Rose Media spend more time thinking about how to let you enjoy content. That's our mission. Sure, we know high tech usually delivers the highest level of audio and visual performance but if you can't use it they way you intended too, then it's all for nothing. Thoughtful integration with the surrounding, the decor and user friendliness trumps the high-tech specs. We don't sell inferior products, we sell products that help us reach our mission. in ways you never imagined. The people at Rose Media help you live with the modern world. We are consultants, designers and technicians committed to making your life better through smart-home technology. The Sonos Playbar makes home Theater possible anywhere with absolute ease of use! Well chosen audio & video equipment will go a long way towards making life at home more enjoyable. We consult, design and install all types of solutions for people. Many of today's best technologies can be added to any existing home. 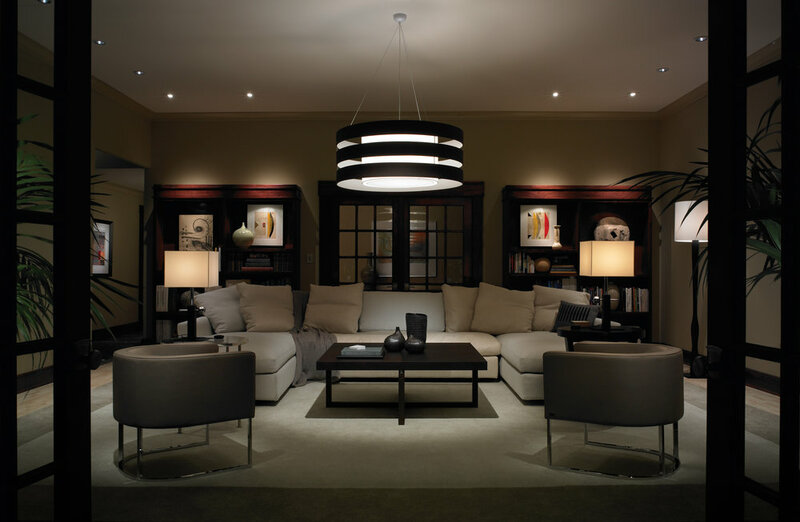 Lighting and intelligent control make your spaces more enjoyable. Smart-home networks is a wide reaching term we use. Wireless ethernet and Z-Wave are a couple of the more common network types modern technologies use to communicate. The home network is now the back-bone for everything you use so it is essential that careful planning and installation are given to this part of your smart home. IP video cameras offer peace of mind, convenience and improve day to life. Many options exist for every need. Security & video surveillance are more and more common. Security systems are great especially when it is easy for you to interact with your system. Only recently has new technology like Alarm.com made it so easy for our clients to see whats happening at their home. IP or network video cameras are more affordable than ever and can be viewed from almost any smart device you own! Tivo has been relentlessly advancing their products. Tivo's now offer 4K resolution and features like speed watching where video can be viewed 30% faster. RTI makes great hardware however their software is even better. Lutron lighting controls simply equal great outcomes. These products constantly under promise and over deliver. The people at Monitor Audio simply love music. Faithfully reproducing great music is a passion for Monitor Audio. It easy to hear. Sony is a leader in consumer electronics. Sony has pressed on to create some of the best LED televisions to date. They are also innovative, offering features no other manufacturer can compete with. ihiji may not be a brand your familiar with, however this company has created unique products that promote offsite service for network connected devices. Rose Media was founded in 1999. It's founder, Brion Gebow had worked for several local, Seattle and Bellevue based custom electronics integrators from 1988-1998. Having worked on several multi-year projects including very large private motor yachts to sprawling water front estates Brion has seen the industry change dramatically over the past 29 years! Today our firm is operating in Washington and Oregon. We leverage highly experienced technicians for installation services and focus on system design and consulting projects.